Clarksville, TN – Big sixth innings in both games of Saturday’s doubleheader proved the difference maker as Austin Peay State University’s baseball team claimed a 13-6 contest before sweeping the Ohio Valley Conference series with a 6-3 nightcap win. Both contests were pitcher’s duels through five innings with both team’s battling to post a single run each. However, the sixth inning in each game saw Austin Peay (7-6, 3-0 OVC) bat through the order and piece together big innings that won the game. 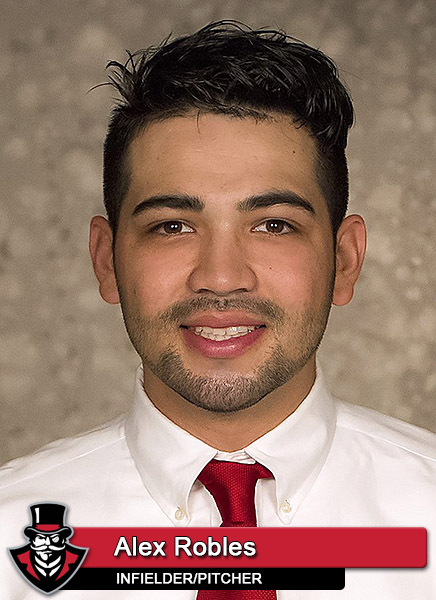 In the opener, the Govs scored seven runs as they sent 11 men to the plate in the sixth inning using four walks, two singles, a double and a triple to break the tie. After a leadoff walk, third baseman Logan Gray gave APSU the lead for good with a RBI triple. Gray would score on a passed ball, giving APSU a 3-1 lead, only to see Eastern Illinois retire the next two Govs hitters. But Austin Peay loaded the bases by waiting out three consecutive walks. The Panthers attempted to end the threat by changing pitchers, but shortstop Clayton Smithson laced a double into the right center gap, clearing the bases for a 6-1 APSU lead. Second baseman Garrett Copeland and center fielder Patrick Massoni each added RBI singles for an 8-1 APSU advantage. Eastern Illinois (1-14, 0-3 OVC) got one of those runs back as right fielder Tyler Tesmond hit a home run to left field. But the Panthers saw Austin Peay tack on four runs in its half of the seventh – two coming courtesy a Smithson double – to put the game safely away. 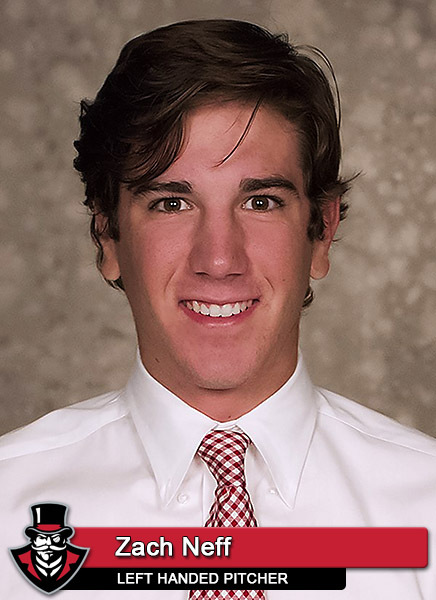 Austin Peay starter Michael Costanzo (3-0) held Eastern Illinois to two solo home runs in his seven innings, allowing six hits, walking none and striking out five batters. He improved to 3-0 in starts at Raymond C. Hand Park this season. Smithson led APSU in the opener with a 2-for-4, five RBI outing that included a pair of doubles. Gray and left fielder Ridge Smith each had two hits and a RBI. Eastern Illinois starter Brendon Allen (0-2) suffered the loss after allowing six runs on five hits and five walks in 5.2 innings. Tesmond paced EIU in the first game with a 3-for-3 outing that included his solo home run. The night cap started out nearly identically to the first game, with both teams struggling to produce runs in the early going. 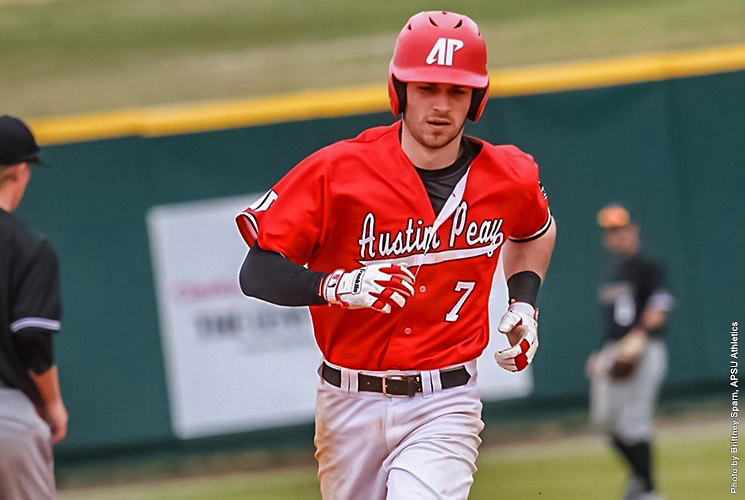 Austin Peay stranded 10 runners on base through five innings, only scoring one run when right fielder Chase Hamilton earned a bases-loaded walk. The Govs lead was short-lived as Eastern Illinois center fielder Joseph Duncan led off the sixth with a single. He moved into scoring position thanks to an APSU error and then to third on a Panthers sacrifice bunt. Duncan would score when the Govs could not complete a double play, tying the game 1-1. But again, the Govs put together a big sixth inning, scoring five runs after nine batters went to the plate. Massoni broke the tie with his fielder’s choice that allowed Smithson to score from third base. Smith followed with a two-run home run to right center, giving APSU a 4-1 lead. Designated hitter Alex Robles and pinch hitter Wesley Purcell each drove in a run later in the inning to give APSU a 6-3 lead. The sixth-inning support helped Govs starter Zach Neff (1-3) notch his first collegiate victory. He held the Panthers to one run on six hits, walked none and struck out six. Reliever Jared Carkuff tossed the final three innings, allowing two runs, to notch his season’s first save. Massoni, Gleason and Robles each had two hits as the Govs posted 11 hits in the night cap. Smith’s 1-for-4, two RBI outing was the Govs only multi-RBI effort. 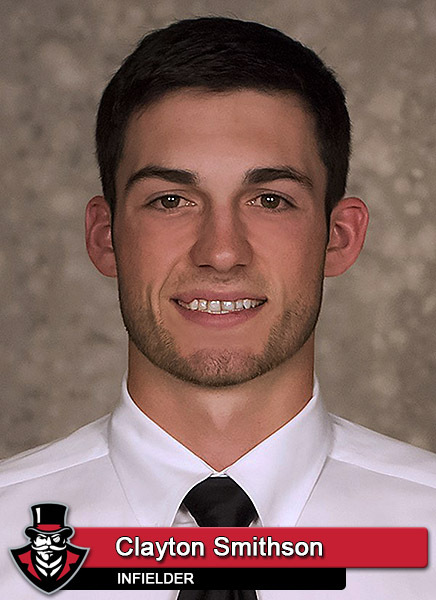 EIU reliever Andy Fisher (0-2) was saddled with the loss after allowing six runs (five earned) on five hits in 2.1 innings. EIU starter Michael McCormick was left with no decision after tossing three scoreless innings. 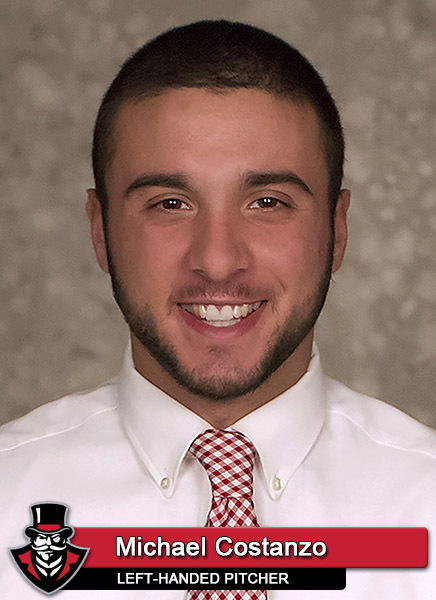 Pinch hitter Frankie Perrone had a two-run double in the ninth inning to lead the EIU offense. Duncan was one of three EIU hitters with two hits. Austin Peay returns to action when it hosts Northern Illinois in a 6:00pm, Wednesday contest.